In food and fashion trends come and go. 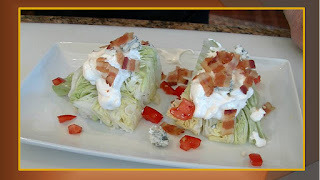 A few years ago, no self-respecting chef would offer anything containing iceberg lettuce in his restaurant but it has suddenly started to appear in some high-end restaurants as "Wedge Salad". Topped with a blue cheese dressing, crumbled blue cheese, crisp crumbles of bacon and some diced tomato, its a delicious way to start a meal. Portions can be as large or small as you like! Combine the mayonnaise and sour cream. Add half the blue cheese and stir to combine. 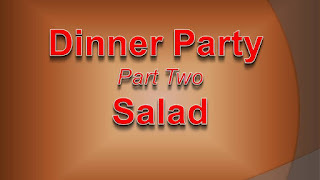 If the dressing appears too thick, add milk a tablespoon or two at a time until the desired consistency is reached. Place lettuce wedge on a serving plate, top with dressing and sprinkle with the reserved blue cheese, bacon, crumbles and diced tomato. 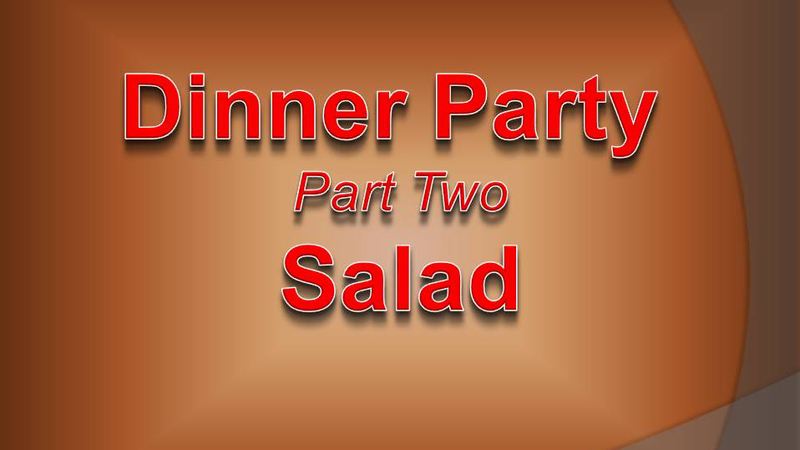 Note: The day before your party you can make the dressing; the lettuce can be cut into wedges, the tomato diced and all wrapped and stored in the refrigerator. The bacon can be cooked and crumbled and stored, lightly wrapped on the counter.